The image on this coaster is a high resolution image of a celtic triskelion. 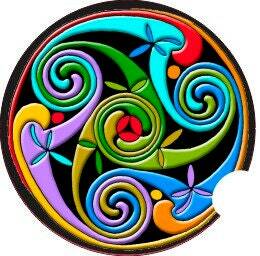 In Celtic tradition spirals can occur in double, triple or quadruple swirls. Spirals are typically swirls joined to one another in either an "S" or a "C" type configuration. A similar design to the spiral would be the triskel, sometimes called the triskelion, which has 3 arms or curls radiating from a common center. 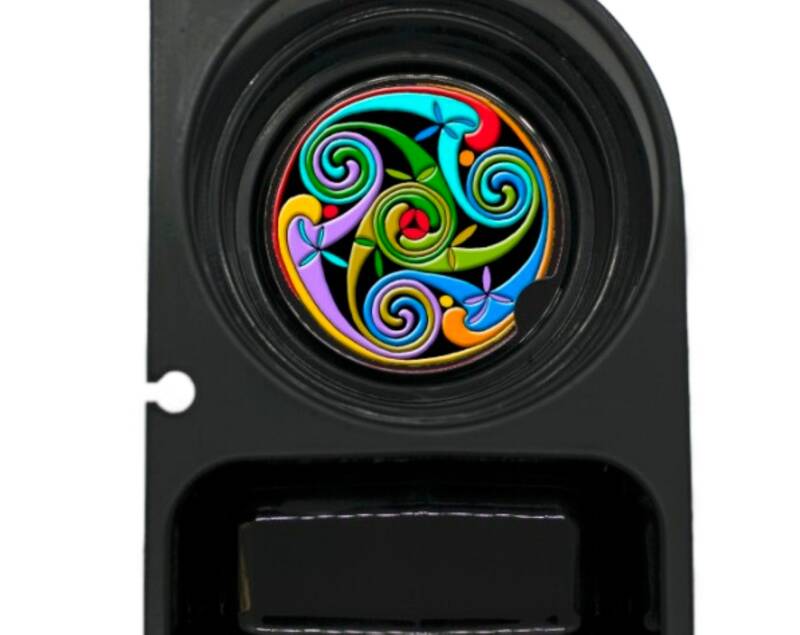 This design is based on the triskel or triskelion celtic design element.